We've had a face-lift on social media. Okay, wait - that sounds like we've live streamed our face being lifted - which was not the case. No, we just got a new logo for our social media channels and I'm absolutely in love with it. You can find it by visiting our channels, they're all linked below. It was designed by the brilliant Chris Stringer who has been a part of the HITS gang for multiple years. He's one of our favourite musicians and he's also super talented when it comes to graphic design. So please go check out his work - you'll love it. I'm so thrilled about this little change up on our socials, it just feels fresh and inspiring - which is exactly what we've needed around here. So to celebrate our hip socials, I made a (not so) little playlist. We love the music we share all year around - we wouldn't share it, if we didn't like it. That's just the way we handle things around here - why write negative reviews when you could just focus on spreading the word for the musicians you do believe in, right? So this playlist doesn't mean that we only love the featured artists. 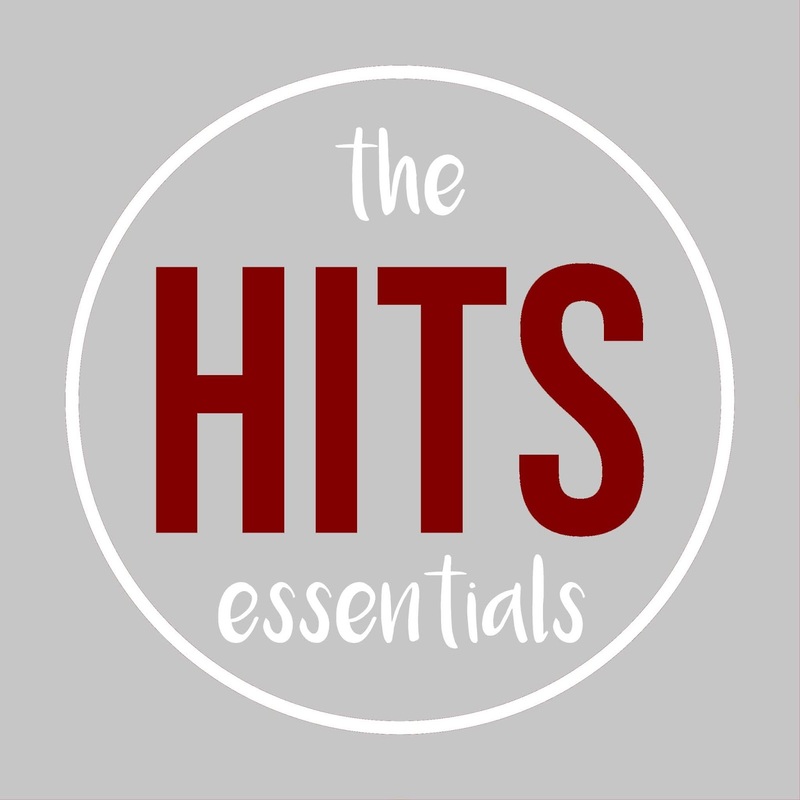 The HITS essentials are songs by artists that either are part of our little gang or that have been interviewed and photographed by us and were a delight to be around. house in the sand has been built on friendships, we wouldn't be where we are without the friends we've made in music. Now, this wouldn't be house in the sand if I didn't write about a million words about the songs above. The first track you'll find on the playlist is our title track - "Wrong Directions" by Martin and James. I first heard this song in 2011 when Martin and James supported Taylor Swift. A year later I started a blog and needed a name for it - the song came to mind and soon the line became our name. Seven years after hearing it for the first, Martin played the song for us at the house in the sand show in Berlin. Talk about things coming full circle! Of course we needed a Jack Garratt track on here because he's mega fun to chat to and a musical genius. ROE found us through the Jack Garratt interview and we fell in love with her sound. Kodaline are still the winning champions of the unofficial "funniest band to interview award". And I will always cherish the moment I made them read the lyrics to their songs in different accents. When we discovered Rhys Lewis at Barn on the Farm in 2016, we felt like little talent scouts who predicted big times for the brilliant musician. AND WE WEREN'T WRONG. Back in 2014 we met Jamie Lawson for an interview and a session right before he supported Ed Sheeran. I still remember him playing "Cold In Ohio" for house in the sand's third birthday - it was so simple but so breathtaking. Jamie is one of the nicest people we've met through music, so it's always a pleasure to have him involved. When I first heard The Lunar Year's "Porcelain", I cried. Ben Barritt is part of the original HITS squad and his music is a playlist staple for sure. We'll admit, we haven't interview Hozier (yet) but as a writer, his music inspires me to push myself and to be bold, yet artistic. Therefore his latest, "Nina Cried Power", just needs to be on this list. The day I was in the studio with Jim Kroft and ended up singing choir vocals on "Redemption", I knew that this industry is the most random thing I've ever been a part of. And for that I love it. Right after recording that song and getting a total of 5 hours sleep within 48 hours, I went to a cool hotel in Berlin to film an interview with Gavin James. He was so bubbly and fun to chat to, so that made being awake so much easier. When Sony Music invited me to interview Tom Walker in early 2017, I said yes after hearing 30 seconds of his music. Of course I've been cheering for him when "Leave A Light On" went viral. So well deserved! The Vaccines are on this playlist because I did my first ever phone interview with their bassist - and I was so nervous. But it ended up being super fun and interesting, just like their live shows. "Don't Act Like You Know Me" by The Arkanes will probably still make me boogie when I'm 80. Guess they'll always be my brothers. Because we can't have enough rock music in our lives, Novatines just need to be a part of this party playlist. Liam McClair was the first friend I've ever made in Manchester and he's the best tour guide who made me fall in love with the city. So, "We Should Talk" (about Manchester). Tom Odell was the first artist I photographed as an official music photographer. Every time I've had him in front of the lens, I was blown away by his growth as an artist. I also still remember hearing "Another Love" for the first time and being drawn to his talent from the very first second on. Wrabel is the kind of artist I want to be best friends with. So if anyone finds out where I can apply, please let me know. Until then I'll be sobbing to "The Village". In 2010 I went to see Rooney live. They were the first indie gig I went to and I had my point and shoot camera with me, standing in the front row and snapping away. I remember how much I loved the results and being able to re-live the gig through photos so much, that I knew I wanted to be a music photographer. And look at me know, I regularly have the time of my life in photo pits. I really hope you'll love the playlist as much as you do. As you can tell the songs and artists mean a lot to house in the sand and I hope that the playlist is a nice way to support them. I also want to thank all of you reading this for being a part of house in the sand - you give us a reason to re-do all our logos, to lose sleep over details in the designs and to have the best time of our lives creating content and sharing the music we love with you.